Xindi's Gift was inspired by my story with my grandmother. She was my first art teacher when I started doodling on paper at three years old and has always been the kindest, most encouraging and enthusiastic lady around. 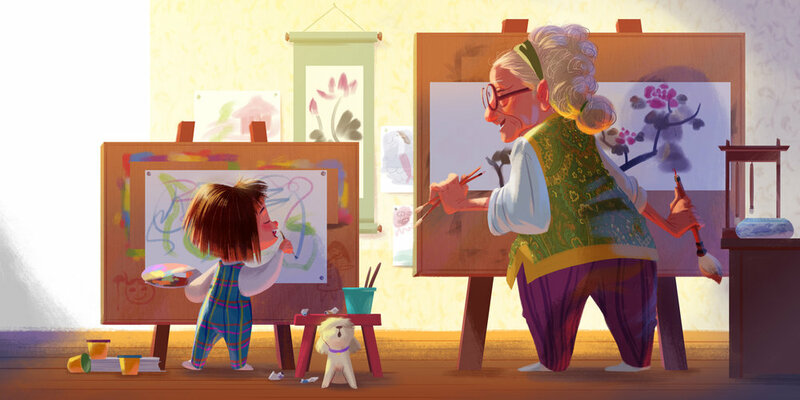 This work in progress picture book is written and illustrated by me, dedicated to grandma. Editing and art direction welcomed.